He was wounded in action at Strazeele, France on 20 June 1918, and died of wounds in the 2nd Australian Casualty Clearing Station on 30 June 1918, aged 24. Died of wounds received in a raid by an enemy aircraft that took place on 30th September 1917. 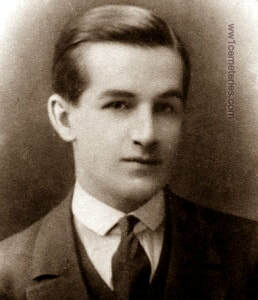 13th April 1918, aged 19. Son of Ann Pepper, of 44, Belgrave St., Stoneyholme, Burnley, and the late Joseph Pepper. Native of Borrowdale, Cumberland. ​His headstone bears the inscription; "Remembered By All At Home." 20th May 1940, aged 19. Son of Sidney William and Gertrude Phelpstead, of Gloucester. His headstone bears the inscription; "One Of The Many Who Answered The Call; For The Country He Loved He Gave His All." 28th June 1918, aged 19. Son of Albert James and Lucy Pilkington, of 70, Disraeli St., Burnley. His headstone bears the inscription; "Saviour In Thy Gracious Keeping Leave We Now Our Dear One Sleeping." "Dear Mrs Pilkington, I am more sad than I can say to hear the news that has just reached me, that your son, Pte. Harry Pilkington (30657), 11th East Lancashire Regiment, has died of his wounds in hospital. Our battalion made an attack on the morning of June 28th, and your boy was wounded early in the fight. We found him lying in a trench, and did all that we possibly could for him, getting him to the doctor, and we all hoped he would recover. He was one of the best, brightest, most splendid lads it has been my fortune to meet, and I personally feel that in losing him I have lost one of my greatest friends out here. For him I know we need not grieve, since we Christians do know that what seems to us to be death is in reality but the beginning of a fuller and freer life beyond the grave. I do know that your boy has already met the Saviour, whom he served so faithfully here on earth. I like to think that God needs lads like your son to teach others, who in this life have not had the chances he had of learning this exceeding love. He will no doubt in previous letters told you I prepared him for confirmation and he was confirmed. It is the greatest joy to me to think of that, and of the fact that just before the fight he and many others came to Holy Communion, which was celebrated in the corner of a field. Everyone was fond of him, as he never shirked anything, but gave all he had to give unselfishly and happily for us all, cheerful always in spite of adversity. I cannot say all that is in my heart, but I hope you realise what I really wish to convey to you". With my earnest prayers and sympathy, believe me, yours sincerely, Dennis Sudall, Army Chaplain. Edward Leslie Graham Rowell M. C.
His headstone bears the inscription; "Excelsior." Edward Leslie Graham Rowell was born at Walbottle House, Northumberland, England. 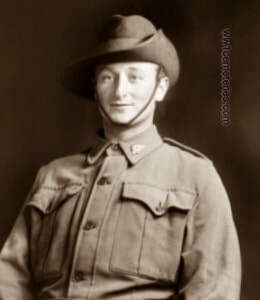 He enlisted in March 1915 and left for the Front as a member of the 25th Battalion A. I. F. He played his honoured part as an ANZAC, having spent four months in the winter campaign on the Gallipoli Peninsula. He then served with the first Australian divisions in France fighting on the Western Front where he won his commission in the field. Admitted to No. 26 General Hospital, Etaples on 4th October 1917 with a Gun Shot wound to head and right shoulder. He was later transferred to No. 7 General Hospital at St. Omer where his condition was described as "Dangerously ill, condition, unfavourable." ​On 11th November he was seen by medical personnel who said; "In a very serious condition, we saw him today. he appeared to hear what was said to him but make no effort to understand. He has several wounds which are complicated by chest trouble. His family have been telegraphed for and his brother is expected today. The Sister in charge appeared to have little hope for him." On 14th November 1917 a note written by staff at No. 7 General Hospital, St. Omer said; "In a very bad condition and getting worse, some of his relatives are with him." He died at 7.20.a.m. the following day as a result of wounds to the neck and left arm. His father and brother were with him and both attended the funeral. At Westhoek Ridge on the 20th of September 1917 for conspicuous gallantry and devotion to duty, when during the advance an enemy Pill-box from which the enemy were emerging, seemed likely to hold up the advance, this Officer rushed it single handed. Although his revolver was shot out of his hand, he engaged them with bombs, killing four and taking 20 prisoners. Later, when his Company Commander was wounded, he took charge of the Company, eventually carrying out a relief under heavy shell fire. Throughout his courage and coolness were a fine example to all ranks. Picture courtesy of David Backhouse, great nephew. Son of Arthur and Lavinia Salman, of 57, Stephenson St., Willesden Junction, London. His headstone bears the inscription; "Salt" Of Our English Earth." 23rd October 1917, aged 23. Son of Robert and Alice Elizabeth Scott, of "Stronray," Buckley St., Essendon, Victoria, Australia. Native of Clunes, Victoria. A school teacher prior to enlisting, he embarked from Melbourne aboard HMAT Themistocles (A32) on 28 January 1916. 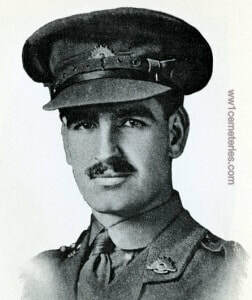 On 23 October 1917, he died of illness (Hemiplegia) at St Omer, France, aged 23. His brother, 5899 Sapper Arthur Gideon Scott was wounded at Heilly, France and died of his wounds on 26 December 1916. He is commemorated at Heilly Station Cemetery. 6th October 1915, aged 20. Son of Alfred W. and Avis A. Sibley, of New Lodge, Warkton, Kettering. Native of Stamford Hill, Kettering. 18th October 1916, aged 28. Native of Sydney. Son of William John and Sarah Jane Starr, of "Chester," Howarth Rd., Chatswood, New South Wales. ​His headstone bears the inscription; "Have Mercy Upon Him Lord And Let Perpetual Light Shine Upon Him." A 26 year old plasterer prior to enlisting on 10 November 1914, he embarked for overseas with the 2nd Reinforcements from Sydney on 11 February 1915 aboard HMAT Seang Bee. He served with the Battalion at Gallipoli where he received a shrapnel wound. On recovering from his wound, he re-joined the Battalion in Belgium and was killed by a defective grenade in a training accident on 18 October 1916. 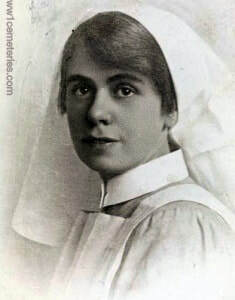 22nd June 1918, aged 24. Son of James William and Olinda Lucy Ann Taylor; husband of Constance Taylor, of Bank of New South Wales, Murrumburrah, New South Wales. A bank accountant prior to enlisting, he embarked from Sydney aboard RMS Osterley on 15 January 1916. On 20 June 1918, during operations at Strazeele-Merris, France, he was wounded in action and died of his wound on 22 June 1918 at the 2nd Australian Casualty Clearing Station, France, aged 24. Admitted to No. 2 Casualty Clearing Station on 22nd June 1918 with Gun Shot wounds to the back and chest. He died the same day. 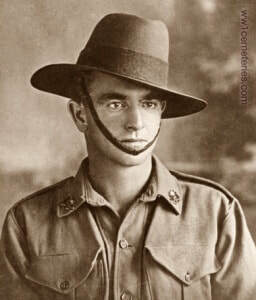 ​He had been wounded to the right of Meteren at an outpost his men were raiding, he was hit by Machine Gun fire. 28th November 1917, aged 22. Son of James and Alice Ann Toone, of 2, Hoyle Mill Rd., Stairfoot, Barnsley. Native of Hoyland, Barnsley. Picture courtesy of Jennie Nuttall, his niece. 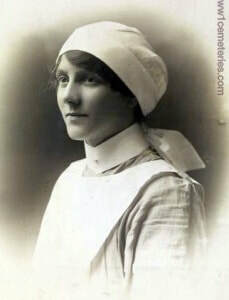 16th March 1918, aged 22. A fireman of Maryborough Qld, with three years service in the Citizens' Military Forces (CMF), Turner enlisted as a Pte on 16 November 1915. He embarked from Brisbane aboard HMAT Seang Choon (A49) with the 5th Reinforcements on 19 September 1916. 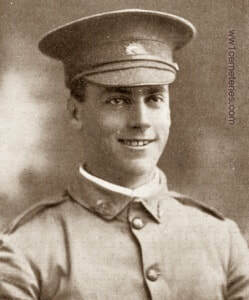 He was promoted to Lance Corporal (L Cpl) on 6 September 1917. L Cpl Turner died of disease on 16 March 1918, aged 22. 14th August 1917, aged 24. Son of Mrs. E. J. and the late Mr. A. C. Westaway, of Somerville, Victoria, Australia. ​His headstone bears the inscription; "He Answered His Country's Call And Gave His Best His Life, His All." A 22 year old grocer prior to enlistment on 12 July 1915, he embarked for overseas as an Acting Sergeant with the 2nd Reinforcements from Melbourne on 29 October 1915 aboard HMAT Demosthenes. He reverted to Private on reaching the Western Front and after being promoted and then reverting to his previous rank on several occasions, he was promoted to Corporal (Cpl) on 24 January 1917. 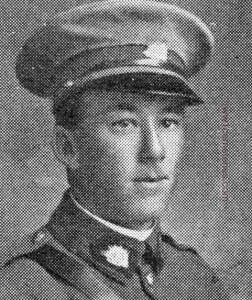 Cpl Westaway died of erysipelas on 14 August 1917 at the 7th Canadian Stationary Hospital, France.